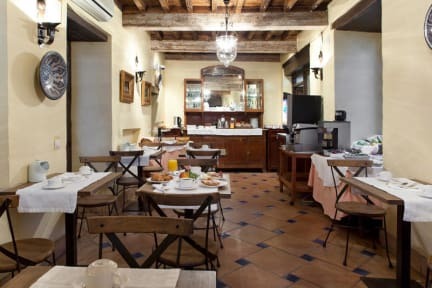 Hotel Casa Capitel is an ancient Renaissance palace built in 1503, renovated in 2002 and redecorated in 2012. It is located in the picturesque area of the Albaicin, in front of the Alhambra in Granada and in the city centre, close to the cathedral. It is a palace with lintels and Tuscan columns, Corinth capitals, Arabic chromium-plated beams; Renaissance decorated wooden ceiling and two Roman columns. Among all the artistic whole stands out an exquisite Nazari capital carved in alabaster, what makes it a piece unique in the world. Wooden beams original from the XVIth century are leaned on the artistic whole. These beams support the first and second floor of the building. 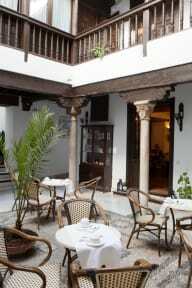 From the main bright courtyard one can have access to all rooms and the balconies. The renovation of the hotel has been carried out looking for the original materials to preserve the atmosphere of the XVIth century. - 17 bedrooms with bathroom. - Television and internet connection in all bedrooms. - Free coffee and tea service from 16.00 to 19.70 h. for the Guests.